There’s no escaping a hungry crowd. who articulated the need for food. At least, I think it was Jesus. along with tracings of grace. I know it’s the same poem. I’ve written it dozens of times. even when it tries to disguise itself. but I know it’s the same poem. it’s still the same poem. It’s always about anger and hope. and no one searches for pearls. of the itinerant teacher called Jesus. doesn’t make it right, though. of those who know themselves to be on the inside. We are all weeds; we are all wheat. need not always be so. let us all be reborn into truth. with justice and with grace. 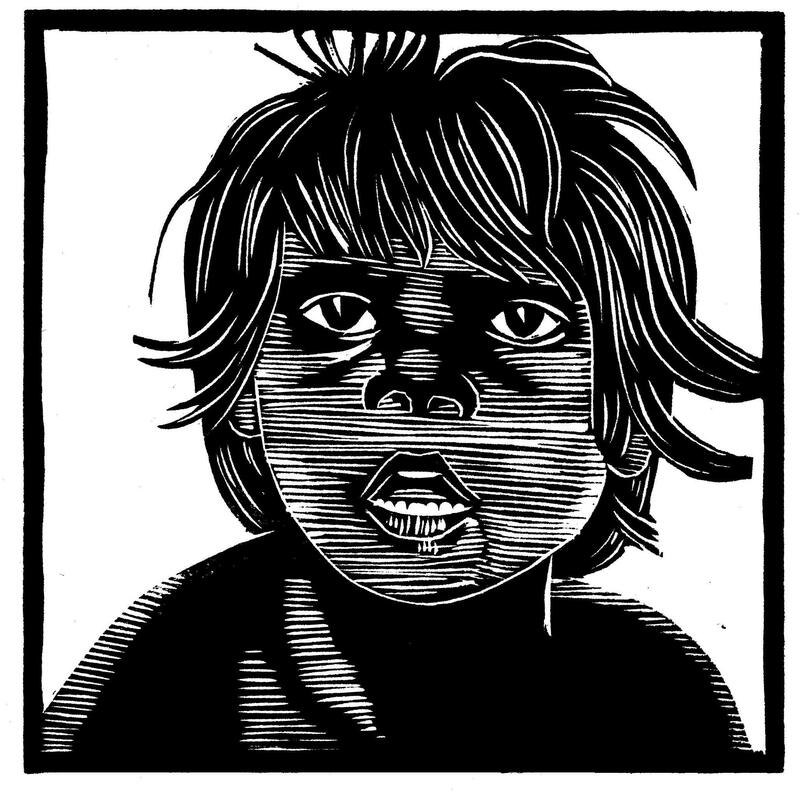 Linocut 150 x 150 mm. It took me straight to ebay. There were hundreds of listings. that were ending over the next 24 hours. people hang on to them. I clicked on a big purple one with gold trim. my refresh button was unable to keep pace. For a moment I was tempted. truth, courage, generosity and love. and there were no current bidders. “Why not?” I asked myself, and typed in $15.00. on a high shelf in the guest room wardrobe. I’m pretty sure it’s still there.